Does Edelbrock 1407 fit your vehicle? 1407 is rated 5.0 out of 5 by 2. Yes, this carburetor will work on your engine. 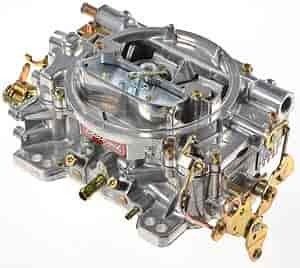 Would this be a good carb to run on my 1975 oldsmobile 455 big block with a edelbrock performer intake? Engine is stock right now but was thinking of adding a cam and roller timing chain. This would be a good choice especially when adding a higher lift cam. I have a 1978 f150, 400 big block. Would this be the correct carburetor I need? This carb will work fine on the 400 engine. Is this carb to large for a 350 c.i. Chevy that's bored .030 with 8.5 to 1 pistons and a mild cam? I recently got an Edelbrock carb with the number 1407 1139. I was told that this was a 650 cfm and would like to confirm what I have. Thanks for the imput.